Boats, yachts, and megayachts of all sizes participate in the International SeaKeepers Society’s Discovery Yacht program. This enables them to assist researchers in important scientific missions around the world, among other things. 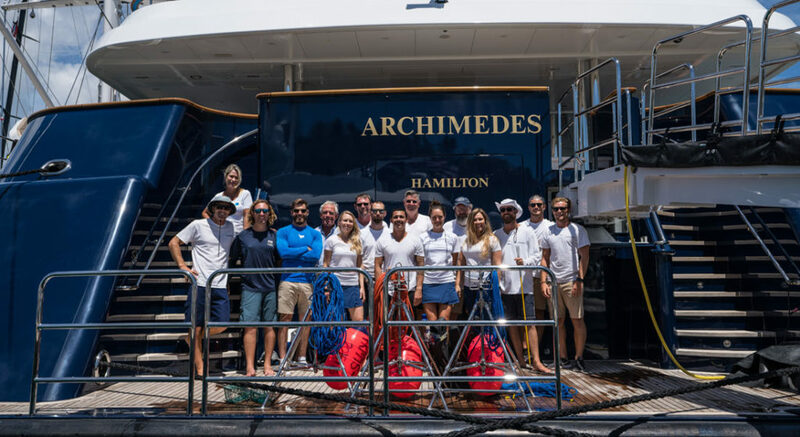 One of the biggest yachts to lend a much-needed helping hand so far is Archimedes. 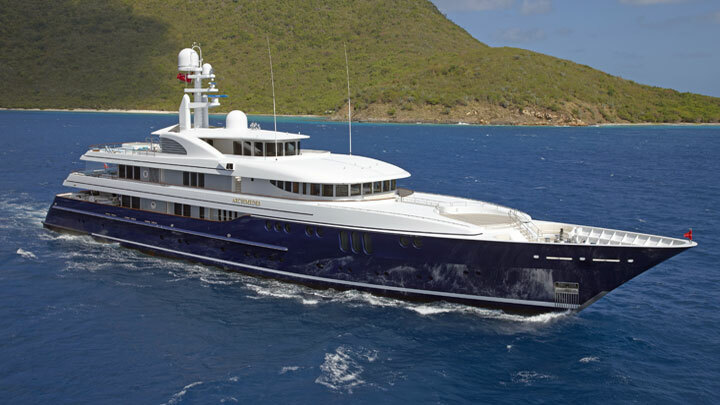 The 222-foot (67.75-meter) Feadship recently did so in Antigua, with promising results. Archimedes and the International SeaKeepers Society pitched in on behalf of Florida International University, a SeaKeepers’ partner. The school has an ongoing project called Global FinPrint. Through this, it collects data on shark and manta ray populations. Unfortunately, these populations are shrinking worldwide. Global FinPrint uses equipment called BRUVs (baited remote underwater video) to gather information about them. They’re lightweight underwater cameras positioned with bait cages in front of them. Researchers and even members of the general public assisting them can deploy the BRUVs, by hand. Archimedes hosted SeaKeepers staff members as well as Bond along the southern coast of Antigua. There, they sent 23 BRUVs overboard, onto the sea floor. Each sat there for 90 minutes, recording the sea life attracted to the bait. The recordings are incredibly valuable for Bond and fellow researchers, since they count the species they see. As you can imagine, Bond has hours of footage to analyze. The full results are not yet in as a result. However, Bond does say he has counted eight sharks from two species so far. Specifically, he counted nurse sharks and Caribbean reef sharks. Ultimately, the totals will give him a good estimate of the populations.